Don began working at GHSA as an Associate Director in July, 2017, coordinating the sports of Volleyball, Wrestling and Soccer. He also handles Sports Medicine for the GHSA Office. Don worked for 22 years teaching and counseling in Clayton County Public Schools. For 21 years, he was the Jonesboro High School head baseball coach as well as coaching other athletic activities including football, basketball and cross country. He was elected to serve Region 2AAAAA and 4AAAAA as Region Secretary (4 years) and Region 5AAAA as Executive Committee member (1 year) during his Clayton County tenure. He worked as Assistant Principal and Athletic Director at Etowah High School (2 years) and as Supervisor of Student Activities/Athletics (3 years) for the Cherokee County School District. He was elected to serve Region 7AAAA, 7AAAAA and 6AAAAAA as Region Secretary (8 years) and Executive Committee member (8 years) during his Cherokee County tenure. Upon completing 33 years in the education field, Don retired in May, 2016 from the position of Director of Personnel Staffing for the Cherokee County School District. Don has received numerous honors as a coach, including: Atlanta Braves 400 Club Coach of the Year, Georgia Dugout Club All-Star Team Head Coach and Team Georgia Head Coach. He has also been inducted into the Georgia Dugout Club Coaches Hall of Fame. 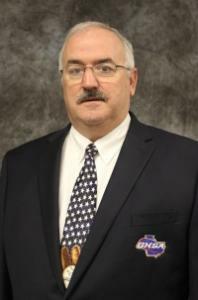 Don has an undergraduate degree in Athletic Administration and Coaching from the University of Southern Mississippi, Master’s degree in School Counseling from the State University of West Georgia and a Specialist’s degree in Educational Leadership and Supervision from Lincoln Memorial University. Don and his wife, Tena, have a wonderful daughter, Victoria. Tena and Victoria are both educators. He was born and raised in Bay St. Louis, MS where they maintain a beach house. Don enjoys spending time with his family at the beach house, fishing and playing baseball.